When riding your motorcycle, do you ever wonder if your tires are set at the correct PSI to maximize your riding experience? If you do, Big Bike Parts has the perfect product for you. The TireGard Tire Pressure Monitoring System is designed specifically to support two tires and maximize your riding experience. 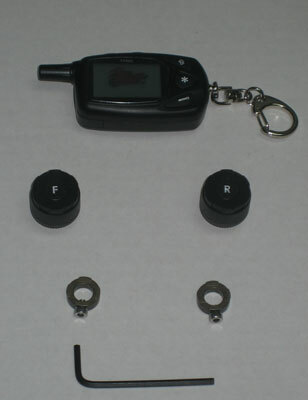 Completely wireless with unique valve stem sensors for real time monitoring, this hot new item is also compact and lightweight. TireGard comes equipped with a User-Friendly Graphic Interface that enables the rider to easily understand and maintain the motorcycle in safe condition. TireGard is fully adjustable to fit your riding style and comes with an anti-theft option. 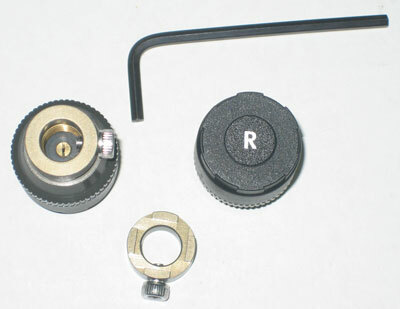 The TireGard attaches to your tire stem utilizing a provided key like tool and set screw so it cannot be removed by hand. TireGard helps maximize fuel efficiency and safety by eliminating riding on under-inflated tires. Installation is a breeze and does not require tire removal. Simply remove OEM valve stems and replace with the included valve stem sensors, turn on the handheld device and ride. 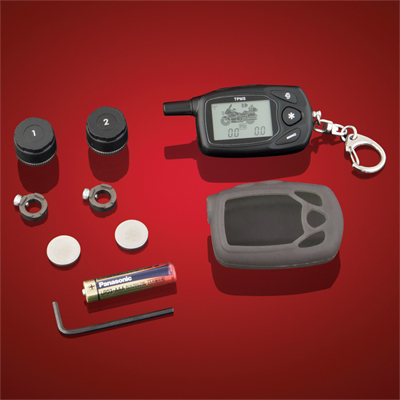 Don't wait, get one on your motorcycle today and never wonder about your tire pressure again!